Dawkins speaks of the God hypothesis, which is that "there exists a super-human, supernatural intelligence who deliberately designed and created the universe and everything in it, including us". He maintains that one cannot disprove the existence of God, but neither can one disprove the existence of an orbiting teapot, unicorns, or the Flying Spaghetti Monster and tooth fairies. Belief in the existence of God, he argues, is a hypothesis that is meant to answer certain questions human beings might have about the origin of the universe. But the existence of God is not a scientific hypothesis that is meant to fill in the blank to the question of the origin of the universe. It is certainly possible for God or gods to be taken in this way, that is, to attribute certain unexplained natural phenomena to a god, as if the sun is a god, or the rain, etc. If one thinks along these lines, one will certainly have to provide evidence for such an hypothesis. But that is not what Jews and Christians mean when they speak of God. For the theist, God is not some contingent being, that is, a limited possible being possessing existence among other limited possible beings possessing existence, and for which there might exist some evidence. That's the problem with Dawkins. In his mind, God is simply a contingent being, a limited and measurable cause for which there should be evidence, but of which he has found none. But God is not a finite being for which there will or ought to be pieces of evidence. In fact, the only required starting point to begin demonstrating philosophically the existence of God is the mere existence of things. There is a universe of existing things. That's all the empirical data required to begin demonstrating the existence of a being that necessarily is, a being that is immaterial, thus not subject to measurement, not visible empirically, but a being who cannot not exist, who always existed, is unchanging and perfect, all knowing and supremely good. It is certainly up to us to demonstrate rationally that such a being exists, but to argue that such a being does not exist because there is no physical evidence for its existence is to miss the point entirely, and Dawkins misses the point entirely. The very fact that he can compare the existence of God to an orbiting teapot, or unicorns, or the Flying Spaghetti Monster and tooth fairies clearly shows that in thinking of God, he is thinking of a being that is contingent, subject to place and time, a material and moveable being whose existence ought to be subject to empirical scrutiny. In this light, he's just "barking up the wrong tree" - in a nice suit, to boot. Theists do not believe that God is the kind of being for which there will be empirical evidence, such as the kind of evidence people look for to prove the existence of aliens, i.e., photographs, video footage, messages from space, etc. If we claim that God is the creator of the material universe, the creator of all material things that exist in space and time, then it should be obvious that God will not be subject to the limits of space and time. If God imparts existence, then God does not receive existence. If He did, He wouldn't be God, but a contingent creature (created, limited, possessing existence and able not to exist). Hence, God is not a contingent being. The Flying Spaghetti Monster is of course a product of the creative imagination, but it is a product made up of characteristics of contingent beings. We have a flying being, thus a thing that moves in space. If it moves in space, it exists in space and is thus subject to the limits of space. We have "spaghetti", which is a delicious pasta, thus we have a creature that eats, one that desires a certain kind of food. The Flying Spaghetti Monster is a contingent being, albeit a fictional being. Certainly, if someone claims that God is a limited contingent being who can be the subject of empirical proof, he will have to provide evidence; for one cannot reason to the existence of a contingent being precisely because it is contingent, for it would have the potentiality to be or not to be, like you and me. But God is not a contingent being. 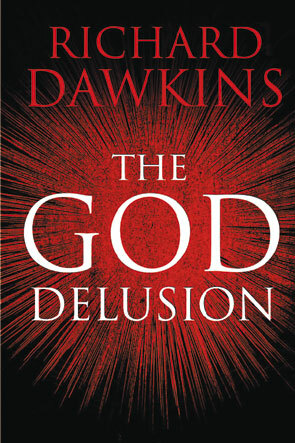 Dawkins fundamental error is that he imagines God as precisely such a being, and he writes a book claiming that belief in such a being is a delusion. Of course it is a delusion. But the only thing in common with the God of Dawkins' imagination and the God of Theism is simply the word "God". Theists simply do not argue that God is a reasonable hypothesis, a being for which there is ample empirical evidence. Theists claim that God is eternal, always existed, is immaterial, unchanging, unlimited, a being whose nature is to exist, and who is the uncaused First existential cause of all that exists. One does not prove such a being exists by looking under a microscope or through a telescope, nor by examining fossils. One reasons to the existence of such a being from first principles. That is the work of philosophy, not science. Philosophy deals in first causes and principles and answers questions that are beyond the scope of the empirical method. But the proper method of science is empirical investigation. The next point that Dawkins made during his interview is that truth is essentially scientific. This is the old fallacy of "scientism" that goes all the way back to the early 1800s. It is the tendency to take modern science as the only valid knowledge of reality that man can claim. Not only scientism, but its refutation is old hat as well, thoroughly countered by such great thinkers as Bergson, Whitehead, Maritain, to name but a few. The problem with scientism is that there is a large body of pre-scientific knowledge that the scientist possesses before he begins doing science. This pre-scientific knowledge cannot be made the object of scientific investigation. It cannot be empirically studied, measured, or verified. But without this pre-scientific knowledge, the scientist could not even dream of doing science. This pre-scientific knowledge includes the intuition of first principles that are self-evident, for example, the principle of identity, which states that each being is what it is, or the principle of non-contradiction, which states that nothing can both be and not be at the same time and in the same respect. A scientist cannot prove through an empirical method that the principle of non-contradiction is true or not true. Rather, one shows that the principle is true through a philosophical argument called the reductio ad absurdum; if the principle were not true, all scientific discourse would be impossible. For example, Dawkins' denial of God would mean, at the same time, that God exists. His statement that religion begets violence would mean, at the same time, that all people should be religious, because religion eliminates violence. In other words, contradictories would be true at one and the same time. Included in this pre-scientific knowledge is the intuition of being or existence, as well as the intellectual apprehension of the nature of things, which is distinct from the intuition of being. Science does not and cannot deal with the difference between concepts and judgments. There is the universal nature of scientific knowledge, which science cannot account for or explain scientifically. There is the difference between a necessary conclusion and one that lacks the force of necessity, which every scientist understands but cannot account for as a scientist. Every scientist employs the rules of logic and understands what an invalid conclusion is, but no scientist as scientist can derive the rules of logic from empirical science. The scientist understands the difference between a cause and an effect, but the scientist cannot explain scientifically what a cause is. Therefore, all fish are mortal. This is a logically valid argument that contains a major term (mortal), a minor term (fish), and a middle term (animals). Therefore, all truth is scientific. The term "scientific" is the major term, and "truth" is the minor term. The question before us is precisely what are the possible premises that would render Dawkins conclusion true? To find out, we need a middle term. To make this easier, let's put our major and minor terms in their proper place. All conformity between the mind and reality is scientific. All truth is conformity between the mind and reality. Here the logic is valid, and the minor premise is true, but the conclusion is not necessarily true, because the major premise "begs the question". To state that all conformity between the mind and reality is scientific is a monumental assumption. Some conformity between the mind and reality is scientific, but not all. For example, Dawkins says that the God of the Old Testament is malevolent, jealous, unforgiving, unjust, etc. This presupposes that justice, forgiveness, and benevolence are good and noble, and Dawkins would certainly be correct to hold that. But the truth that justice is good is not a scientific truth that can be empirically verified, let alone the truth that justice means rendering to another his due. Some conformity between the mind and reality is scientific. The premises are true, but the conclusion is false, because the logic is invalid. The same problems result no matter what middle term we employ, i.e., "empirical investigation", "experimentation", etc. Finally, Dawkins describes the God of the Old Testament as "arguably the most unpleasant character in all fiction. Jealous and proud of it, a petty, unjust, unforgiving control freak, a vindictive bloodthirsty ethnic cleanser, a misogynistic, homophobic, racist, infanticidal, genocidal, filicidal, pestilential, megalomaniacal, sadomasochistic, capriciously malevolent bully." Clearly, in Dawkins mind there is a permanent and universal standard of good that the God of the Old Testament does not measure up to. But as Dostoevsky, Nietzsche, and Sartre all very cleverly demonstrate, if God does not exist, there is no permanent and universal standard of good that can measure the morality of human action, condemning some acts as unjust, immoral, petty, etc., and holding up other acts as truly good and noble. So how does Dawkins get away with this? To be honest, I'm not sure how much he's getting away with. It seems that most of the bloggers and book reviewers I read are able to see through him to some degree or another. Nevertheless, he's not losing money on this book, as is obvious from the suits he wears. What can I say other than that providing reasons not to be religious and not to have to listen to the Church makes publishers a lot of money today, as we saw from the DaVinci Code. And Dawkins gets away with the appearance of novelty because most people are not interested in the history of ideas. But as the old saying goes, "there are no atheists in a fox hole". Perhaps, as a result of his wealth, Dawkins will never end up in a fox hole. But true atheists are few and far between. Moreover, there is no incompatibility between science and belief in the existence of God. In fact, they go hand in hand, which is why Nobel Prize winning physicist Isidor Isaac Rabi could say: "Physics filled me with awe, put me in touch with a sense of original causes. Physics brought me closer to God. That feeling stayed with me throughout my years in science. Whenever one of my students came to me with a scientific project, I asked only one question, 'Will it bring you nearer to God?'"